Now in a street helmet too! 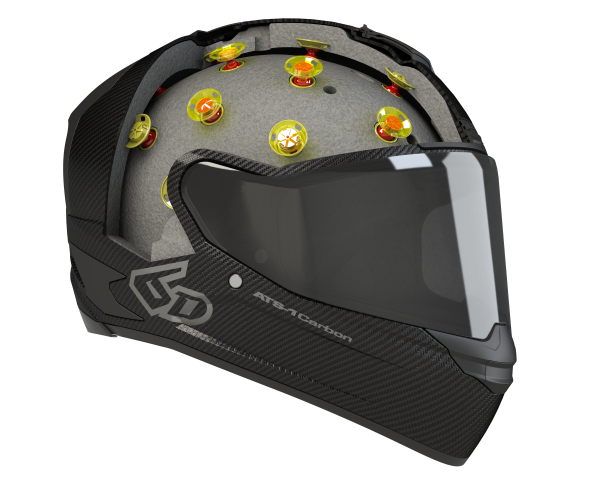 Brea, California – 6D Helmets LLC, the world’s leading innovator in helmet technology, is pleased to announce the launch of its new ATS-1 street-helmet. The ATS-1 from 6D Helmets is the first street-helmet with revolutionary ODS technology and is “streets” ahead of the rest. Its 3K carbon fiber construction results in a light, stable shell, which in conjunction with patented ODS technology absorbs even the most extreme impact. The patented ODS system offers better protection than any other helmet technology across the entire range of potential impacts and in particular against the especially dangerous, rotating forces that cause the worst head injuries. 6D Helmet’s goal for the ATS-1 was to produce the safest road helmet in the premium segment and provide the rider with the best features and comfort. They were able to adopt the revolutionary and extraordinary ODS technology, while a particular task was to construct the outer shell, visor and ventilation system. Truly a challenge, as 6D did not wish to compromise in any area. The result is impressive as the ATS-1 easily exceeds all the objectives that were set. 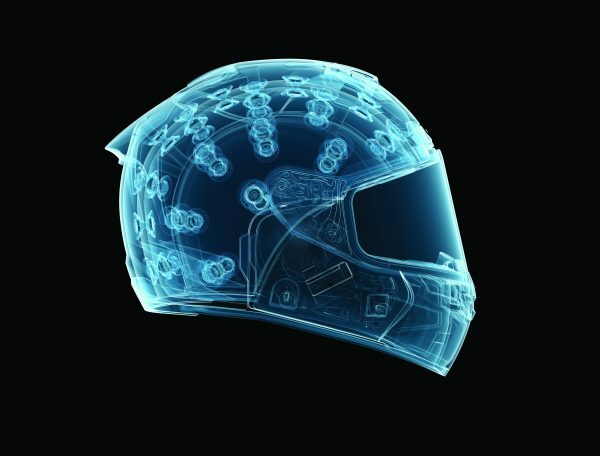 Dynamic Research in Torrance, California, one of the world’s leading test labs, has confirmed in a comparison test with other helmets of respected manufacturers the superior protective benefits of the ATS-1 and ODS technology. The ATS-1 from 6D Helmets is equipped with an extremely effective ventilation management system. The Air-Gap ventilation system: the two separated inner shells do an exceptional job in extracting heat and moisture from inside the helmet unusually fast. 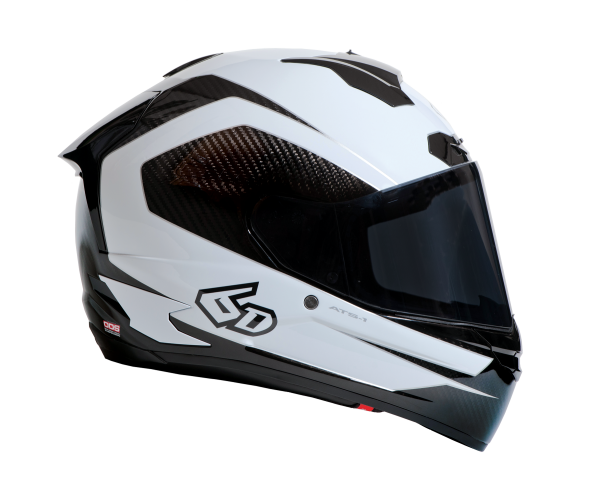 Four adjustable inlet openings bring fresh air into the helmet and a network of 15 air transfer ports and five outlets provide effective ventilation. Using an ingenious hinge mechanism the ATS-1’s visor can be adjusted in stages as required, and reliable locking is assured in any position. The visor itself is a scratch-resistant, fog-free Pinlock® visor (which exceeds VESC-8 standards). The removable and washable comfortable lining is just as advanced as the ATS-1 itself. It can be very easily adjusted to high temperatures, for example; you simply remove the central part of the neck pad to experience significantly improved ventilation in no time at all. Its high quality materials make it extremely comfortable to wear with the best moisture extraction system. The ATS-1 from 6D Helmets exceeds all the certification standards: US DOT FMVSS 218 (USA), ECE 22.05 (47 countries worldwide) and ACU (UK). • 3 Shell Sizes, optimizes size/weight ratio while ensuring great fit: Sizes XS – XXL. • Rear Delta Vent, aids heat transfer and comfort by scavenging air from within the helmet. • Anti-Scratch Shield, premium shield protection on both inner and outer surfaces. • Exceeds US DOT, ECE (47 Countries World-Wide) and ACU (United Kingdom) standards.